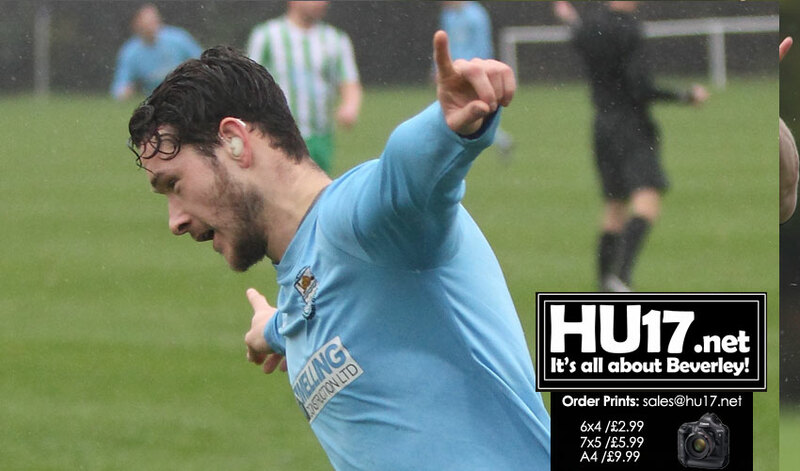 Joe Norton scored for Town as they beat North Ferriby Athletic 4-1 in the Humber Premier League. Norton opened the scoring for Town inside the first ten minutes slotting home on a wet afternoon at Norwood. Better was to come for Town with Alex Stark adding a second midway through the first period. Ferriby did get one back before the break setting up the second half nicely. Ferriby’s fight did not materialise as Town’s Ryan Saltmer and Jamie Mist added to further goals to complete the scoring for the home side. Jagger’s faith in his squad was also again demonstrated as they cruised to victory. A youthful looking team Jagger has the luxury of having quality on the pitch and on the bench. With three wins in their last three matches, Jagger will be hoping his side can continue this form in the coming weeks. The upcoming run of fixtures will be a test for his side, but one if they pass could make them serious title contenders. Next weekend Beverley will host league leaders Pocklington Town. A win for Beverley will see them move to within just one point of their title rivals. They will then face champions Chalk Lane before they will again face Pocklington Town just days before Christmas.